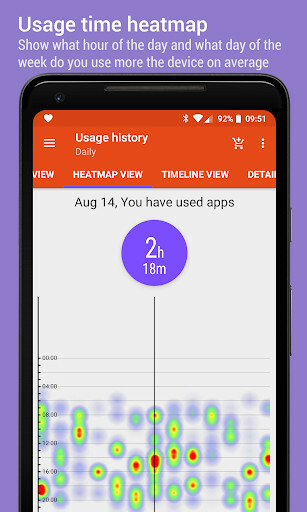 App Usage is a complete tool that helps you manage the time that you spend using your mobile phone. 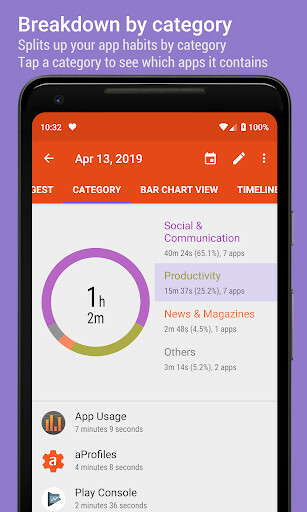 This apps managing tool can be really helpful to check if you are wasting too much time with your mobile and it can even be a good way to avoid being addicted to your mobile and to help you free yourself. 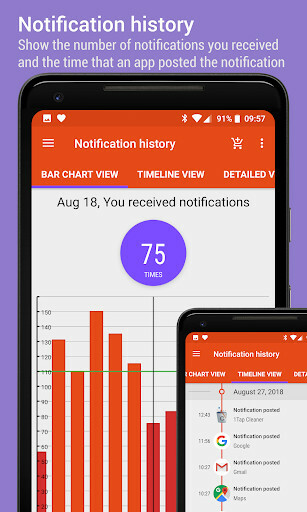 - Apps use History: This option will show you how long you spend using the apps according to the values you are interested in. 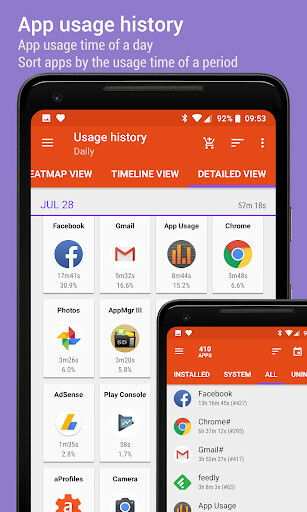 This is one of the most useful, as this data will allow you to know which apps you hardly use, so you can unstall it or which app you use a lot, so that you can decide if it is really necessary. Also, you can check if an app has been used more than what you think and if it is possible that someone has been using it without your permission. remember that the apllication can only track one appif you are using it and the screen is on. This is due to a technical problem of Android system. 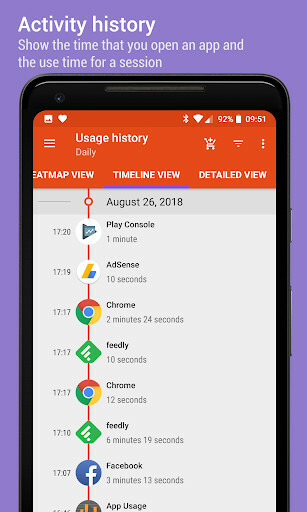 - Search History: with this option, you will see on a calendar all the times that you have used your mobile or in graphics to see the dates and number of times that you have used it. You will be surprised. 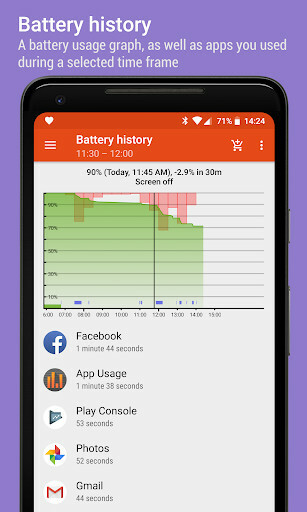 - Activity History: This option saves and shows the times in which you opneded an app. 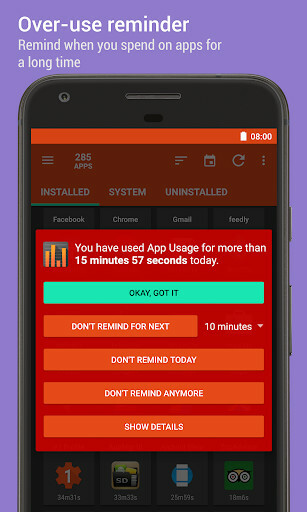 - Excessive use warning: The app will tell you if you have exceed the time you set to use an app. - Most used Apps: This function manages the most used apps and shows you the information in a widget or by means of system notifications. - Installations tracking and notifications: With this option, you can manage the app installations, uninstallations and upgrades. It is really useful to see how many upgrades there are each day and their regularity. 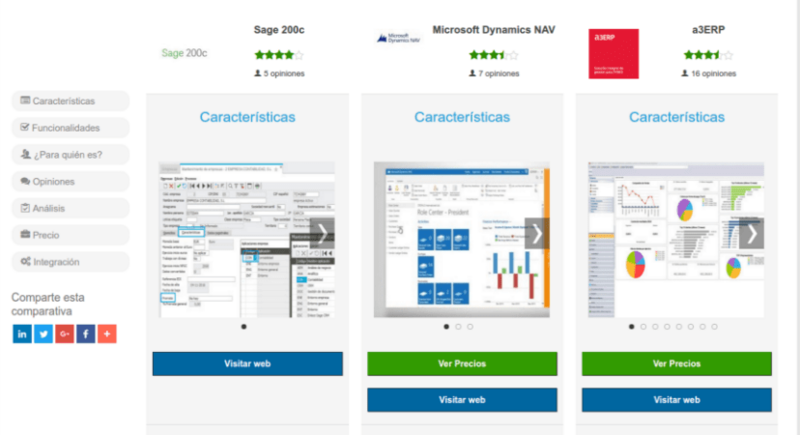 - Apps management: This is one of the main options. 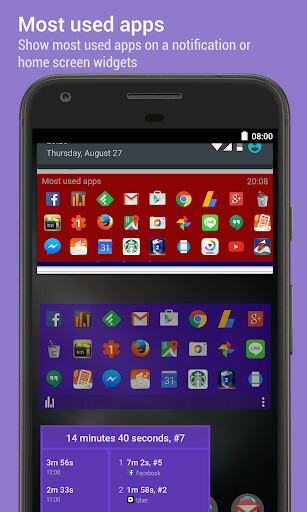 It releases the space taken but the apps and their use by names. It also shows the time of use, the number of accesses and the last upgrade date. In general, App Usage is a very simple to use tool that gives you important information about your phone use. This app should be in all mobile phones.